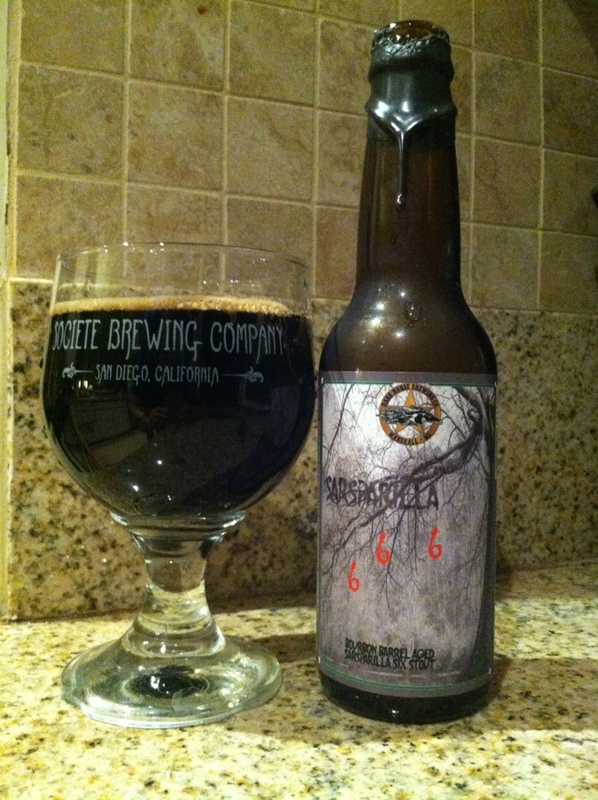 @darkhorsebrewco Dark Horse Sarsparilla 666, bourbon barrel aged Sarsaparilla. Delicious flaming Dr. Pepper meets boozy vanilla root beer. I was expecting a lactose sweet cloying sugar bomb but they floored me. Sticky and vanilla but slick light mouthfeel with Dr. pepper and Barq’s underpinnings just letting that boozy caramel dance on the oak. Seek this out, they nailed it with this one. Not many offerings I can liken it to, perhaps Event horizon but more substantial and aged longer on that bourbon holding cell.